Recently we built a Plex Media Server using the Raspberry Pi 2, at the time the Raspberry Pi 2 was the most powerful board in the Raspberry Pi range. But on February 29th 2016 the Raspberry Pi Foundation announced their latest board, the Raspberry Pi 3. VideoCore IV GPU and 3D now clocked at 400MHz and 300MHz respectively. The new Raspberry Pi 3 is now 66% faster than the Raspberry Pi 2 and is approximately 10X faster than the original Raspberry Pi. The CPU of the Raspberry Pi 3 is an ARM Cortex A53 clocked at 1.2GHz per core, giving us the most powerful Raspberry Pi ever! So how can this help our media server project? Faster CPU, more CPU power enables our Raspberry Pi 3 to index our media library quicker. 64bit CPU, 32bit operating system. The new Pi 3 CPU is 64bit, and while the Raspbian operating system is still 32bit, the extra headroom is still utilised giving us a speed boost. Scaling CPU. The new Raspberry Pi 3 CPU can scale, enabling it to power down when not in use but spring into life when needed. WIFI. The built in WIFI of the Raspberry Pi 3 is really fast. Working to 'n' standard, we can send HD video from our Pi 3 to any device on the network...wirelessly! 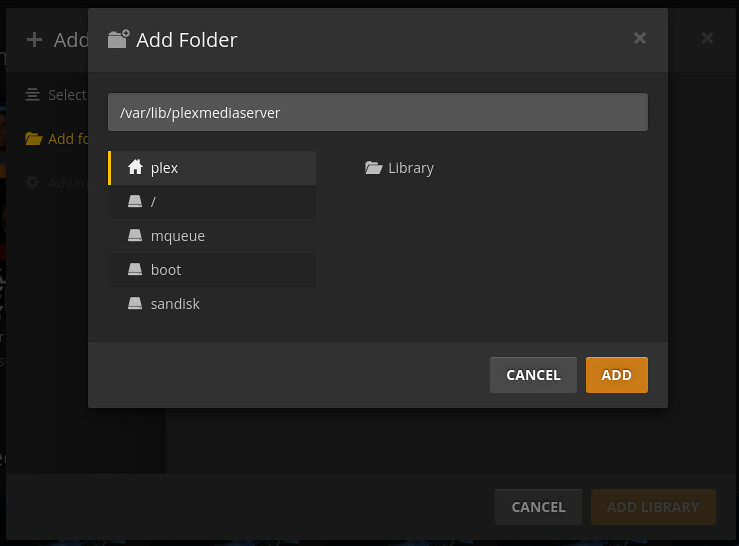 So here is our guide to building a Plex media server using the Raspberry Pi 3. An Ethernet cable connected to a router. An external USB hard drive, preferably powered by an external power supply. With Raspbian installed we now need to boot our Raspberry Pi. Insert the microSD into the Raspberry Pi, then attach any peripherals such as keyboard, mouse, HDMI, Ethernet to the Pi. Lastly attach the power cable to boot the Pi. When your Pi has booted to the desktop, click on the menu to the top left of the screen and go to the Preferences menu. From there select the Raspberry Pi Configuration application. With these changes made, save and exit the application. You will be asked to reboot, do so before progressing. With our Pi rebooted we now find ourselves at the terminal. 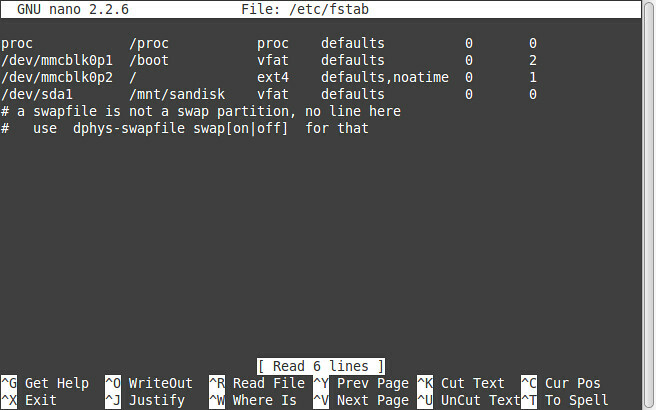 It may seem a little scary at first but the terminal is the best way to work with a Linux computer. Our next goal is to install the software necessary for our Pi. First we update our list of available software and then upgrade the software. We will use an operator to join two commands together. The first command updates the list of software and if that completes successfully, then the last part of the sequence, a software upgrade is started and any suggested files are auto installed. Now we are going to upgrade the distribution, Raspbian, software. To ensure that our operating system is fully up to date. In the terminal type. Once completed and the terminal is returned to you enter the next command to install the HTTPS transport package to enable access to HTTPS content over the Internet. With the key downloaded we now add a new repository to our list, this repository is provided by dev2day.de who has worked on the packages that will power our Plex install. We now update our list again, to ensure that we now have the latest updates for the Plex Media Server. Lastly we install the Plex Media Server software. The install will only take a few minutes and once completed the Plex Media Server will automatically start as a background service on your Pi. At this point it is worth rebooting your Raspberry Pi 3 as proceeding without a reboot caused a bug when trying to configure the Plex server via the browser. To reboot in the terminal type. With the Raspberry Pi 3 we saw the introduction of built in WIFI! Yes we no longer need USB dongles to connect. The WIFI chip on the Pi 3 is a BCM43438 which is rated up to Wireless N which gives us plenty of bandwidth to stream video over WIFI. Connecting to WIFI from the terminal is rather easy, but looks rather scary! Firstly we need to find out the name of our router, the SSID. Look for the name of your router. It should look something like this, replace MY_ROUTER with the name of your router. Next look through the text for your router and see if you can spot a line similar to this. So now we need to add our network details to a file called wpa-supplicant, in the terminal type. In the text editor, navigate to the bottom of the text and add the following. Obviously change the ssid and psk to match the name of your router and the password you use to get online. psk="THE PASSWORD YOUUSE TO CONNECT TO THE ROUTER"
Save your work by pressing CTRL + O then press Enter. Next Press CTRL + X to exit the editor. The changes should be automatic, but it is prudent to make sure by typing the next two lines one after another. Your IP address should pop up for the interface wlan0, which is our WIFI card. The best test to check that this works is to reboot your Raspberry Pi and see if it auto connects to the WIFI. To reboot type. To ensure that we can discover our Pi on a network we will now fix the IP address of the Pi. First we need to find out the IP address, in the terminal type. Write down your IP address! With the IP entered press CTRL + O, then Enter to save your changes. Now press CTRL + X to close the file. Now reboot your Pi to make the changes permanent. With your Pi rebooted we shall now test that we can access the Plex server. On your laptop or desktop PC open a web browser and type your IP address followed by :32400/web so for example I typed. This will now open the Plex Media Server software and we will need to read and accept the Terms and Conditions before progressing. Once Plex has loaded take a few moments to get familiar with the interface. Specifically the libraries, which will house your media collection. The SD card of our Raspberry Pi is rather small, so let's add an external hard drive and store our media there. You will see a lot of text whizz up the screen but keep a look out for your hard drive. Now we shall open a text editor and add a line of code to mount the drive on boot. For our drive we used a FAT32 formatted drive. As this is the only USB drive it will be given the assignment “sda” and if the drive has one partition, where our data is stored, then it will be “1”. This gives us the location of our media which is “sda1”. So now we shall mount our drive, got to the last line which starts with a “/” and make a new line under it. Enter the following and try and keep your spacing similar to those above. To save your work press CTRL + O followed by Enter. Then to exit press CTRL + X. Once the Pi has booted back up navigate to your content by typing. You should see lots of directories and files, just as you arranged them on your main computer. On a Raspberry Pi 2 this took a few minutes to complete, but thanks to the Pi 3 and its new processor this time is greatly reduced. But the time will vary depending on the amount of files in your library. So now that we our drive ready to serve our media, let's start using it! 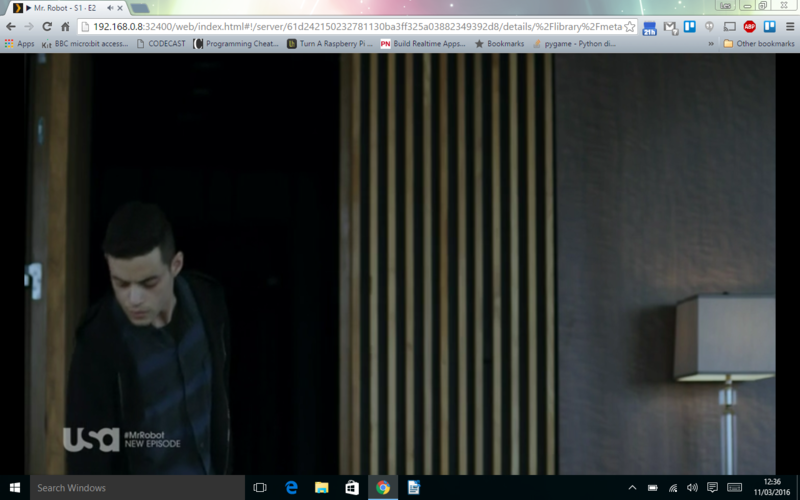 Back to our laptop/PC and open your web browser to your Plex Media Server. You will be prompted to add a library, so go ahead and do so. Now which library you add depends on what you have. I chose to add a couple of TV series. When ready click on “Add Library” to import the media. Depending on the amount of media that you have to import this process may take minutes or hours, so please be patient and wait for the process to finish. One thing we can confirm is that the Raspberry Pi 3 indexed our library in a significantly quicker time than the Pi 2. When the media is imported, Plex will try its best to grab the metadata, the information about the content such as genre, IMDB data, actor details etc. Importing a directory full of music is also made easy, it is just another library of content to Plex. Importing is handled in the same manner as video media, Plex will also search for the artists, albums and genres of your music, providing information on the album and artists thanks to meta data. 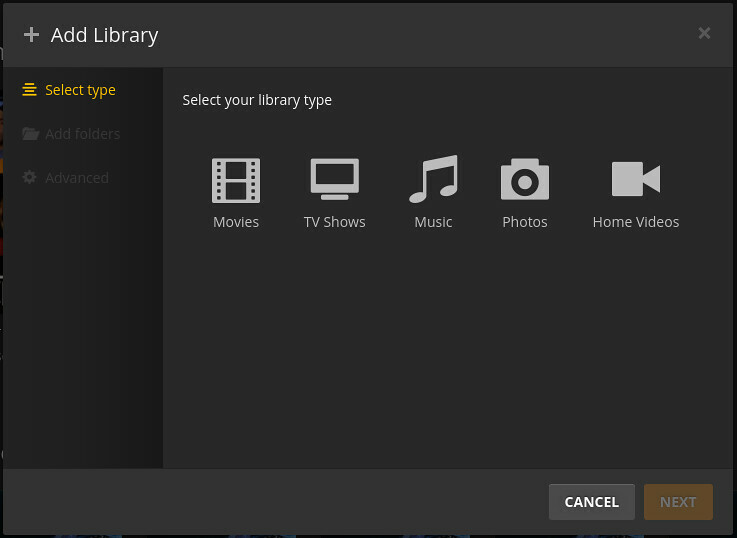 The huge benefit of Plex is that any user on the home network can access any of the media in the library. So children can watch their favourite films on the mobile device, parents can listen to music or podcasts or share their family photos on their laptops. 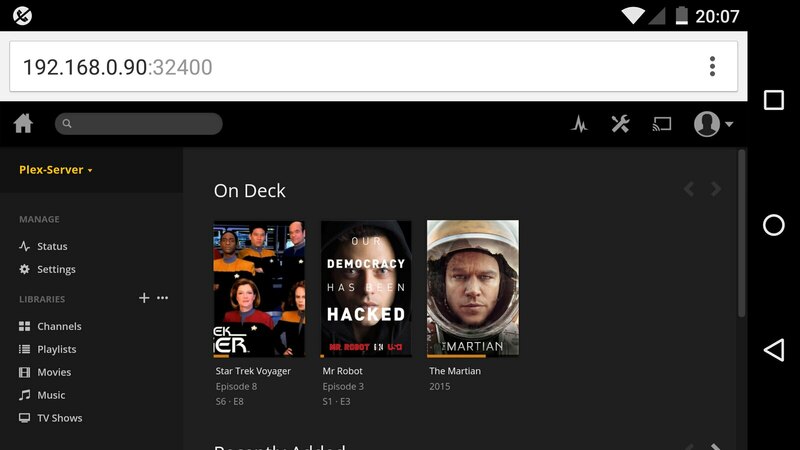 Plex can also be streamed to a chromecast device, enabling high definition movies to be enjoyed on the big screen. Re: What Will You Do With Your New Raspberry Pi 3?